This is spot on. A question remains, however, should orgs and businesses really be attempting the kind of conversations you envision? In many cases, yes. At the same time, many businesses thrive simply on reputation and word of mouth. Social media would be superfluous and perhaps even harmful. Will you be taking on the Reno News & Review next? That could be fun. PS I’d be curious to know how often the RGJ spends time in the North Valleys gathering news stories (besides crime reports and government meetings). I agree. social media is not right for every company. The real tragedy is that when some of these businesses see the growing popularity of social media, they jump in and simply provide one-way advertising (much like they’re used to doing in newspapers). But, I do think that there are many organizations, businesses, products, etc that could be a part of a strong community, giving it value (and not treating it as another forum for their marketing messages). 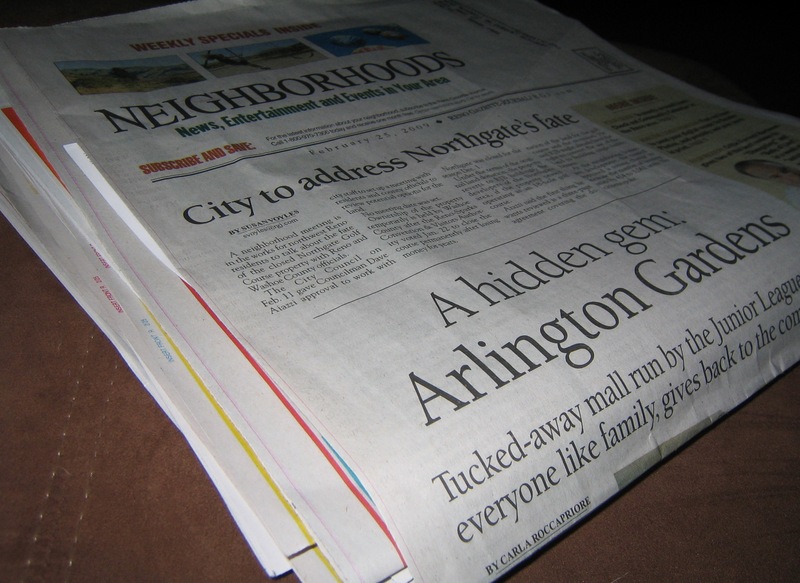 Clearly they don’t spend time in the North Valley when their headlining stories for the area include Northgate and Arlington Gardens (nowhere near my neighborhood). Ads kinda aren’t even an argument to have right now. The RGJ has gotten so light it blows away in the wind. 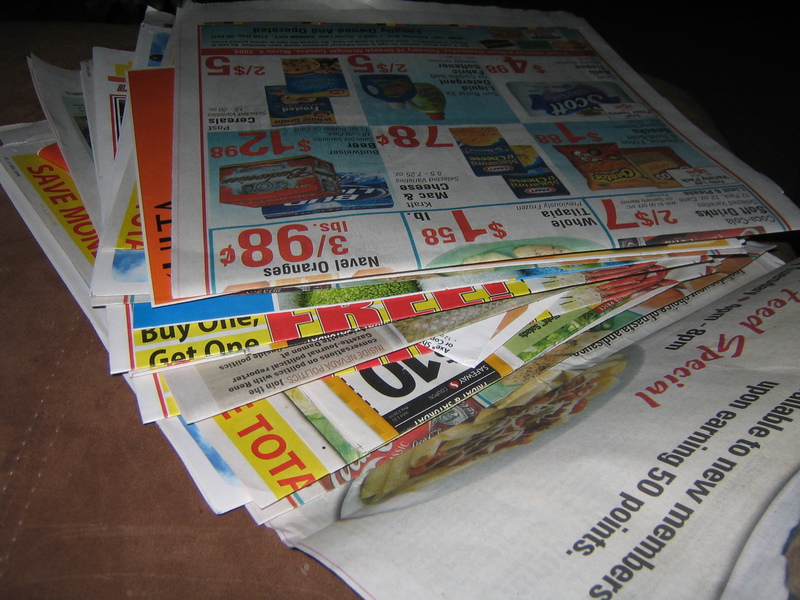 Ads have always kept the print in business, but they can’t do it alone. Dying medium certainly. And as a side note, the RGJ is a rag. I don’t receive or read that neighborhood flyer, but I have seen it once and it was awful. Of the ideas trying to “fix” the broken print media, ignoring 80% of the consumer’s community doesn’t seem the most logical to me. The worst part of that publication is that I receive it via snail mail. At least throw it in my driveway so I can run over it until it blows away (like the regular RGJ does now, due to it’s decreased size- serioiusly, they’ve received complaints). As though I don’t get enough junk in my mailbox already, I now receive the equivolent of the Sunday paper’s ads without subscribing to a newspaper. Although I read Cabela’s ad. But that comes seperately anyhoo. I’m glad someone finally took the initiative to address this sort of nonsense. Newspapers are failing left and right because they blindly continue to follow an outdated business model and refuse to change with the times. The problems are readily apparent (just check out a few blogs on the subject) and could be corrected with some attention and strategic planning. But NOOOOOOOOOOOOOOOO… the industry would rather keep slogging along until the presses finally grind to a stop. If they don’t want to go the way of the dinosaurs, maybe they should get their tactics out of the ice age.